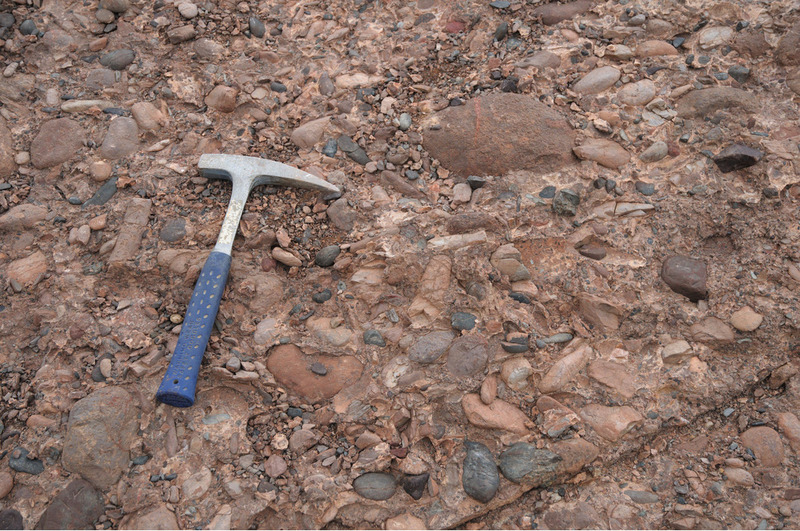 Conglomerate: Mineral information, data and localities. 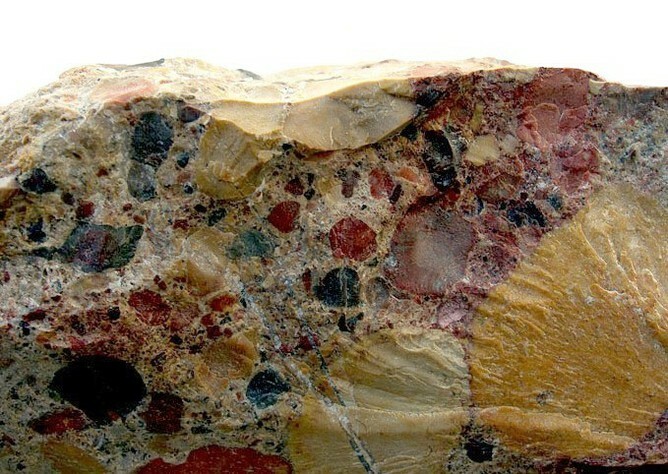 A coarse-grained clastic sedimentary rock, composed of rounded to subangular fragments larger than 2 mm in diameter (granules, pebbles, cobbles, boulders) set in a fine-grained matrix of sand or silt, and commonly cemented by calcium carbonate, iron oxide, silica, or hardened clay; the consolidated equivalent of gravel. 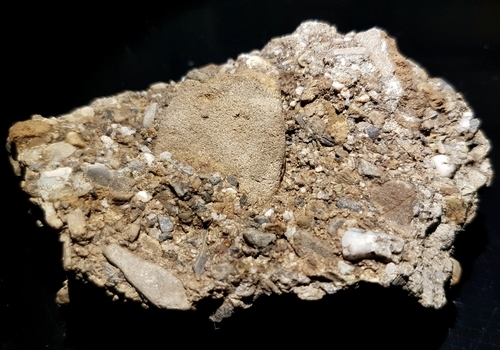 The rock or mineral fragments may be of varied composition and range widely in size and are usually rounded and smoothed from transportation by water or from wave action. Conglomerite A conglomerate that has reached the same state of induration as a quartzite.